The challenge is that many of these people do not have the skills to lead their team. Most of them will tell you that doing their job is the easy part, bringing their people with them is much harder. 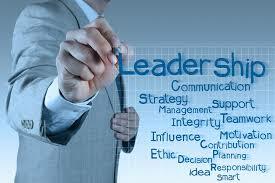 Many Project Managers are given some project management training but few are given any training in leadership. Leadership requires “soft” skills that ensure a team understands what is expected of them and how this fits with the big picture, and that team members want and are able to take responsibility for teamwork and problem solving. When Project and Programme Managers don’t have the communication and other skills to manage people, their team is going to operate at much less than their optimum. It also often leads to high turnover as Managers struggle to deliver to tight deadlines and team members struggle with what is expected of them. Any training that is delivered tends to be one-off workshops that have minimal impact. We help organisations communicate better and do more with less. This often means working with them to develop the “people” skills of their Managers through customised leadership programmes. These involve a series of workshops, usually over four to twelve months that give participants a chance to practice their skills back at work. This embeds the learning and can help companies establish a competitive advantage by harnessing the power of their teams. If you would like more information about how we can help you to help your Project and Programme Managers please contact us.